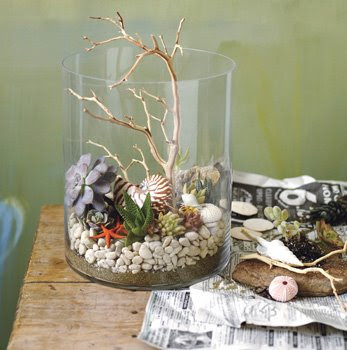 Check out this slide show of stunning themed terrariums. Cookiemag.com is geared towards "stylish" family topics- whatever that means. Apparently these themed terrariums are for kids- but I must say they are artfully arranged, tastefully whimsical and definitely inspiring. 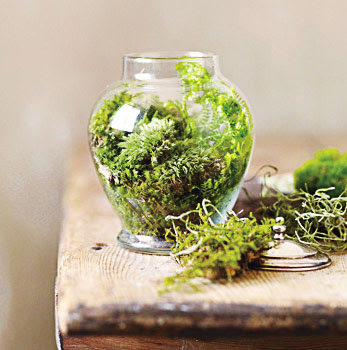 The website also has a concise how-to on making terrariums. I think the photography is the true highlight of both these articles. Great fun and some cool ideas. Fabulous fun, I don't have room in my home for a terrarium sighhh! Besides I have enough outdoors to take care of.